The perfect reception venue following your wedding or Las Vegas elopement is something every couple dreams of. Let’s be honest; this is where the fun goes down, and the true celebration kicks in. You’re definitely in the right town. You’ve chosen our beautiful resort city that skirts the grand Mojave Desert, and no other place delivers colorfully brilliant sunsets quite like Las Vegas. We’ve discovered some gem locations. 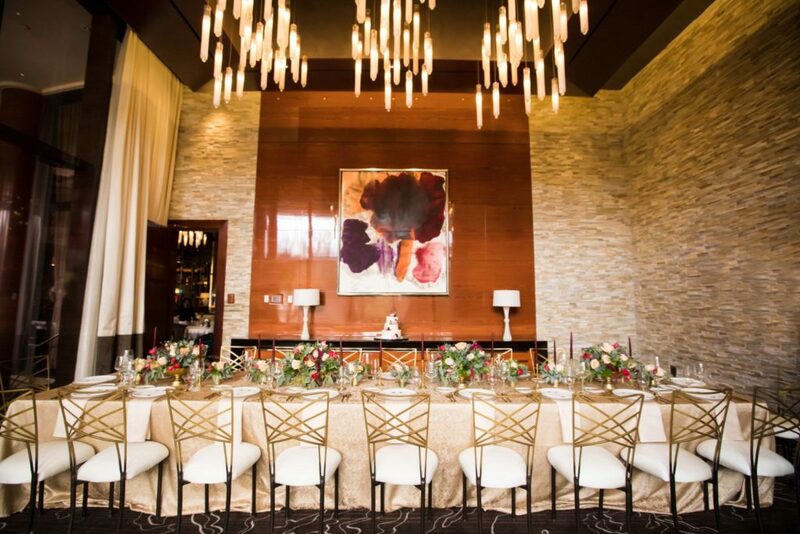 This Private Dining Room at Red Rock Casino’s T-Bones Steakhouse is perfect for an intimate wedding reception. The classic American chophouse is hard to beat with exquisite cuts of juicy beef, the freshest seafood in town, sinfully delicious desserts and a uniquely personalized atmosphere for a wedding reception. T-Bones Chophouse offers lovely options like their elegant private dining room for up to 30 guests and their main dining room that can accommodate more than 60 and still keep it cozy with a beautiful fireplace and furnishings. There is also T-Bones Patio or T-Bones Bar for a glamorous cocktail reception. The restaurant boasts an incredible 7,500-bottle wine loft for plenty of wedding toasts to consider. Sometimes, your getaway wedding celebration involves a little Italian culture and cuisine. Fans of Maggiano’s call their food “deliciously insane” and brimming with the homemade flavors of southern Italian cooking. Freshly-made pasta, signature dishes with prime steaks, seafood and chicken and incredible salads make for a hearty reception meal. At Maggiano’s Little Italy, there’s a strong family vibe as you enjoy a romantic dining experience surrounded by a graceful decor. 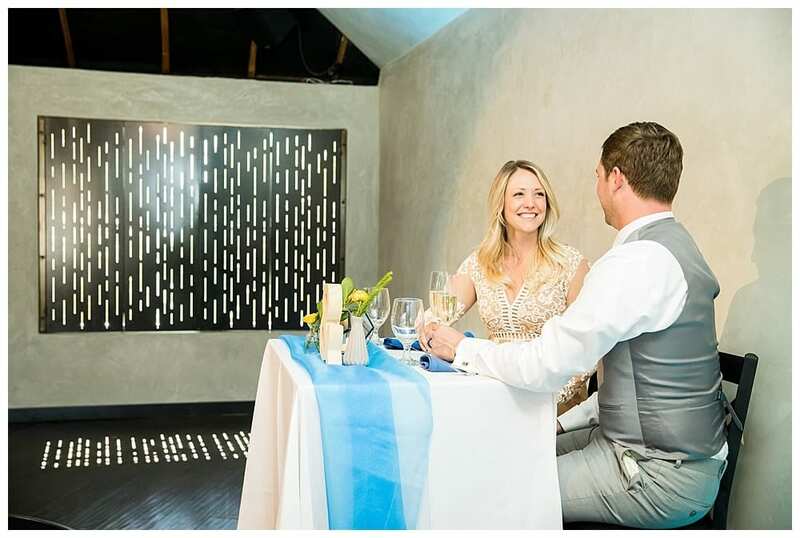 The restaurant has private rooms for a small reception following a Las Vegas elopement. There’s also a large banquet room. The establishment features wedding reception packages that include the wedding cake. 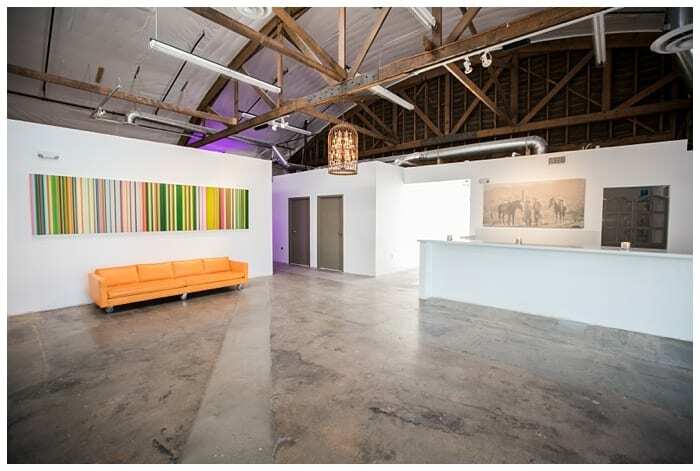 Talk about a hip and trendy atmosphere, this venue has it with delightful options for your wedding reception. At Carson Kitchen, you can celebrate your sky-high love on their rooftop patio with a private bar for a small, intimate group. The John E. Carson mid-century hotel courtyard also makes for that “classic Vegas throw-back space.” Your wedding guests will enjoy a garden party atmosphere before heading inside for dining. At Carson Kitchen, guests are not committed to a preselected entree. Their talented chef provides “table-center offerings” like scrumptious gyro tacos, veal meatballs and “killer” shrimp. 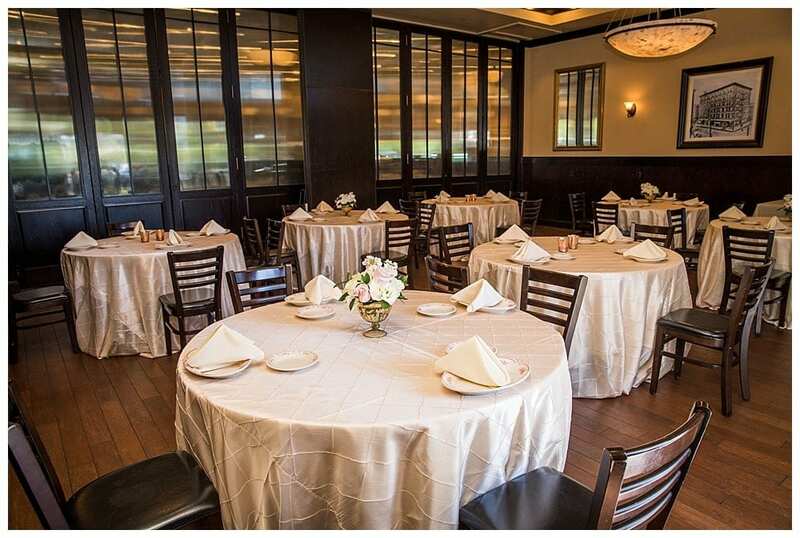 For the ultimate in Venetian dining, Canaletto’s is ideal for tiny wedding receptions to much larger ones. Their beautiful private dining rooms can accommodate from 6 to 80 guests in a sophisticated atmosphere boasting 16-foot ceilings and unforgettable balcony views of the Grand Canal and passing gondolas. The menu’s designed around a gorgeous selection of entrees like Scaloppine Milanese Con Insalata Toscana, Salmone Alla Griglia and Cannelloni di Pollo. The wine list is impressive, and the ambiance is old-world Italy with a touch of modernity. Wedded couples rave about Canaletto’s exquisite food, service and surroundings. If you’re searching for a charming place away from the hustle and bustle, then, The Forge Social House in nearby Boulder City is a wonderful choice. The restaurant is chic and airy with gorgeous wood interior design, high ceilings and handsome furnishings. The facility is ideal for wedding receptions from large to tiny (like a Las Vegas elopement), and you can take an online tour to check out its welcome design. The staff is uber-professional and happy to provide a wonderful meal selection and beverages, wedding cake, entertainment/music, etc. If you’re looking for a full-service facility that does it with style, look them up. The Forge House is definitely delicious and one of our Best Reception Venues in Las Vegas. If you and your partner seek more control over the wedding reception and desire a venue where you can bring your own vendors, then, A Simple Affair: Events Las Vegas is your answer. The event company takes pride in offering venues at an affordable price that allows you to transform their space into the reception of a lifetime. You can use your own decor and catering, or you can hire theirs. The venue features a bridal room, large kitchen, stereo system, etc. A Simple Affair is always flexible and will help you plan your day with ease. Their packages include key essentials like the tables, chairs and tablecloths, etc. The Doyle in Las Vegas is a unique and contemporary venue. Some wedded couples prefer a hip, modern, open space they can call their own; they want to design a wedding reception their way. The Doyle is located in the heart of downtown Vegas and features a stunning wood barrel ceiling with truss work, refinished concrete floors, bistro and chandelier lighting, a lovely courtyard, tables and chairs, a bar, bridal room and more. Rustic, industrial chic is the best way to describe The Doyle. It’s a cool atmosphere for both small and large receptions and perfect for the do-it-yourself couple. 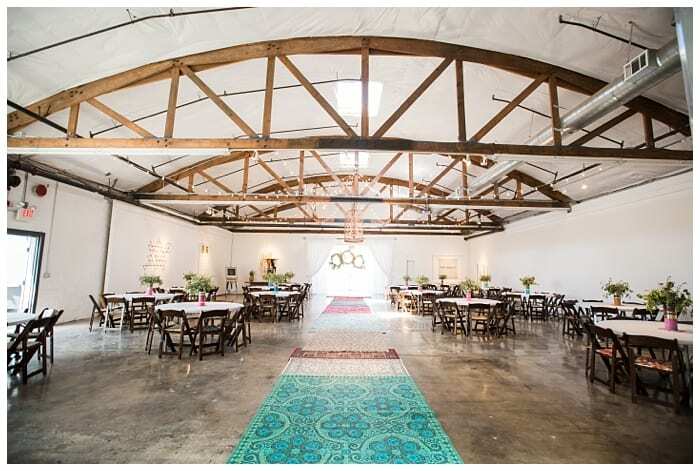 The venue space has “great bones” for visualizing the ultimate reception. It’s sleek, modern and so ready for a wedding reception and the couple’s chosen outside caterers. Rhythms Event Center is a new and unique venue that comes designed with all the right features. There’s a gorgeous patio for guests to mingle and enjoy some cocktails, and inside, there’s a full bar, state-of-the-art sound and lighting technology, round and banquet tables, lounge furniture and an elevated stage for live entertainment. The event center is truly glamorous and trendy, and couples are immediately attracted to the hip interior and its 3,000 sq ft. design. Talk about a dance floor; if wedding reception guests want to let their hair down, the Rhythm Events Center provides the ideal dance floor layout to get your groove on.